Coming Soon to Downtown Toronto. 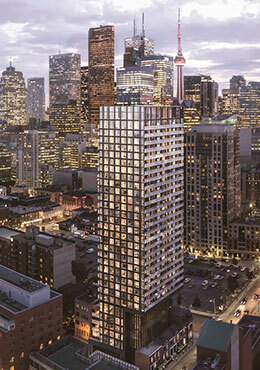 Garden District Condos will be a 32 storey new condominium located at 85 Shuter Street in Toronto. 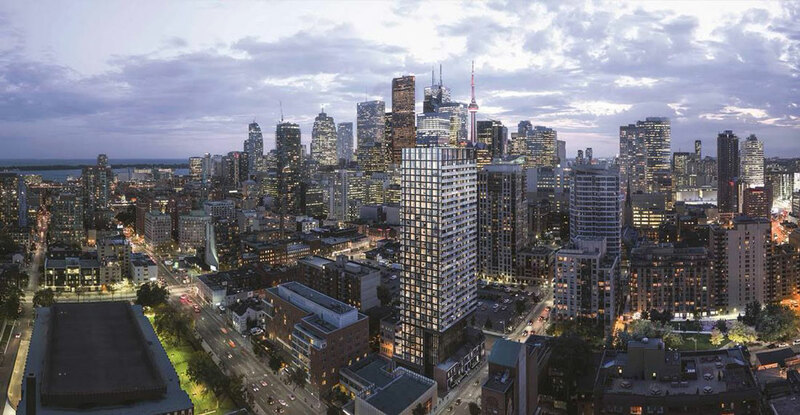 Developed by Hyde Park Homes and Sher Corporation the condominium will be steps to the Shuter and Jarvis street and consist of 234 units designed by architects Alliance Group. From spectacular suite designs, to convenient area amenities, you can enjoy a world of possibilities and potential here at Garden District. 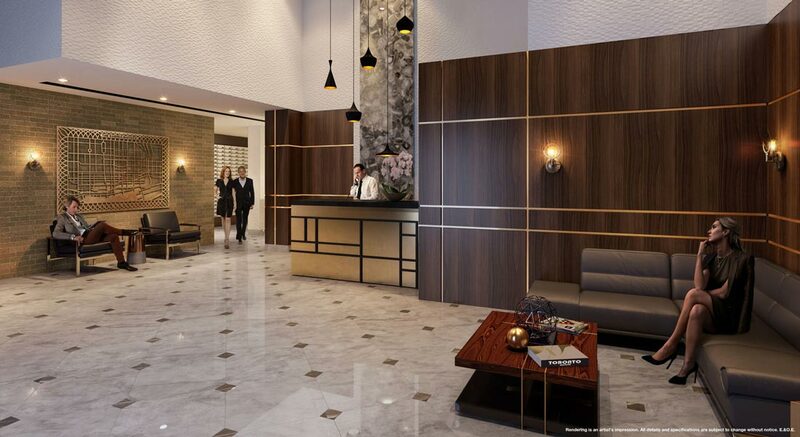 Luxury amenities are spread throughout the building along with a contemporary lobby and full service concierge. 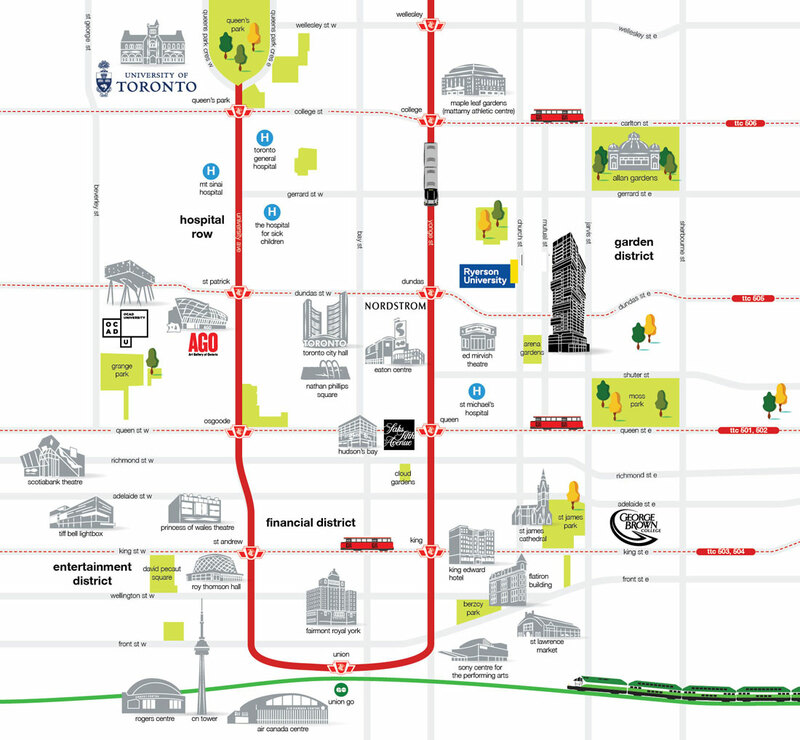 This area is frequently serviced by the TTC streetcar and subway service and has a transit score of 100/100. 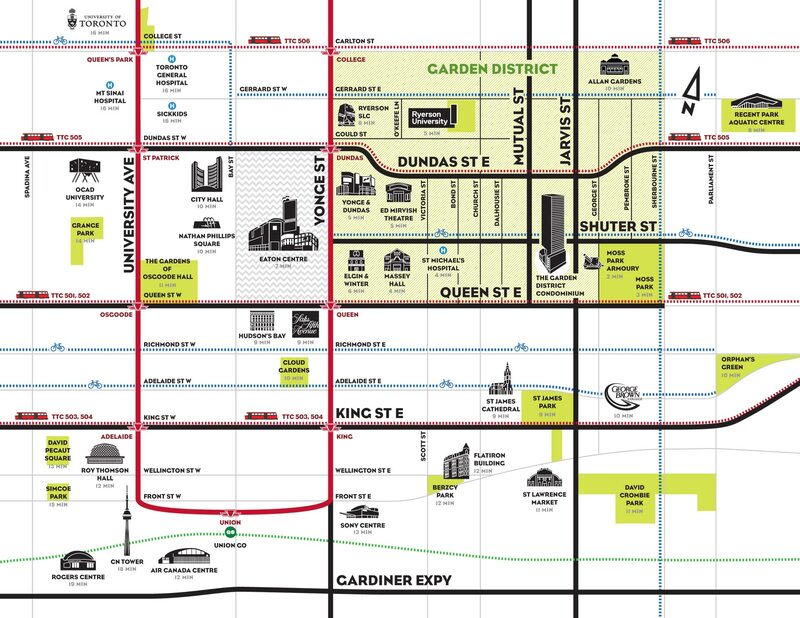 Garden district Condos is an ideal residence for Ryerson students, faculty, and those working in the Garden or Financial district. The Garden District provides everything you need to stay fit and healthy. A grand hotel style lobby with 12 hour executive concierge service. A spacious 2-storey gym located on the 2nd and 3rd floors of the restored heritage building at the corner features well-equipped cardio and weight rooms. A yoga and stretching area located in the cardio room provides an ideal space to relax and unwind. Step onto the 7th floor and enjoy the amenities at the Garden Club, your place to entertain, play, chat, and relax. It’s complete with a kitchen and dining area, comfortable lounging areas, a games area, and a kid’s play area for your little ones. The team at Garden District condominiums has designed functional layouts that are fresh and among the best the city has to offer. Each suite in the building has been carefully drafted to create highly livable suites of remarkable style and sophistication. Residents will enjoy large open concept main areas boasting chef-inspired kitchens and welcoming living and dining areas. All master suites include modern ensuite bathrooms with refined features and finishes including stone or quartz countertop, undermount sink, soaker tub or frameless glass shower selections. 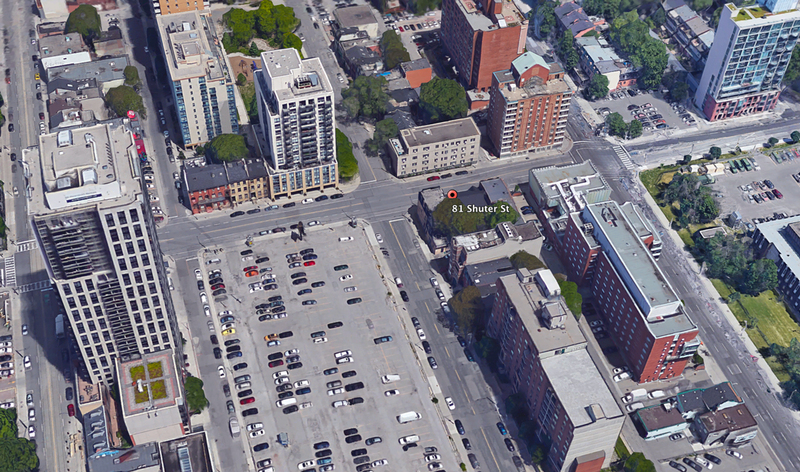 Proposed suite sizes will feature 87 – 1 bedroom units with and without a Den, 121 – 2 bedroom’s, and 26 – 3 bedroom condos. 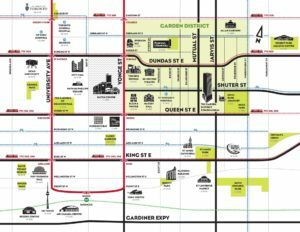 Toronto’s Garden district has always been in great demand when it comes to pre construction condo sales. 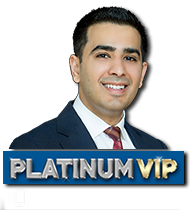 VIP Sales registration has started and our team is actively booking one on one appointments and accepting worksheets for this development. 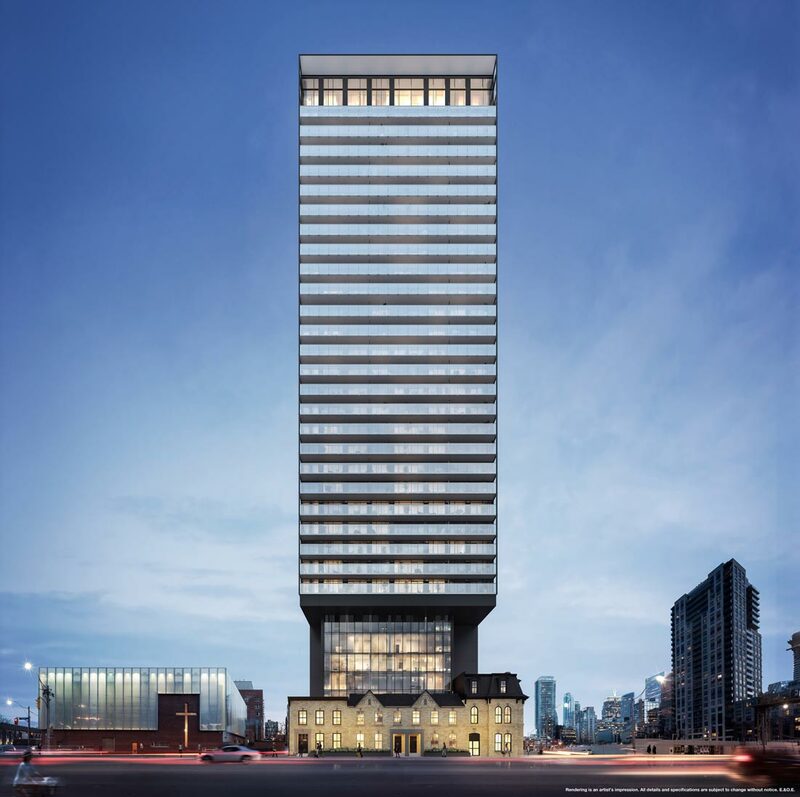 Register today to ensure you are first in line to receive the promotional package including VIP incentives, price list, floor plans and the best selection of suites to choose from at the lowest entry price in advance of the general public opening.